Home » Our Doctors » Michelle Sancho, O.D. Dr. Michelle Sancho has practiced in the metro Denver area since 1999. She previously practiced in a Pediatric Ophthalmology office and a Corneal Specialty office before opening ParkRidge Vision Specialists, P.C. with her husband, Jeff Marlatt, OD. She specializes in difficult to fit contact lenses including dry eyes, pediatrics, Keratoconus (including scleral lenses), post-LASIK/RK/PRK, Aphakia, corneal transplants, etc. Doctor Sancho is a contributing doctor of the “KC-Link” for the National Keratoconus Foundation. 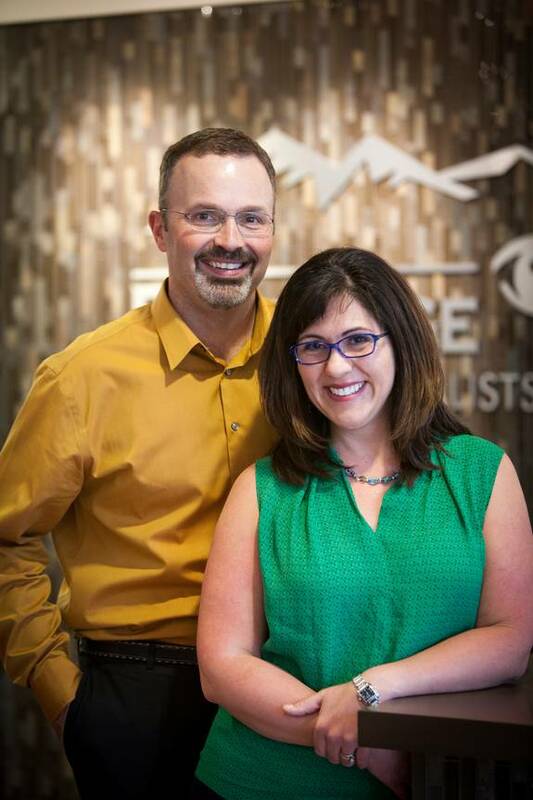 She is also an active member of the Colorado Optometric Association, the Americian Optometric Association (AOA) the Cornea and Contact Lens division of the AOA and a volunteer doctor for the national InfantSee program. Doctor Sancho was appointed by Governor Bill Ritter in 2007 to the State of Colorado Board of Optometric Examiners where she is an advocated for the public. We are proud to say that she served as President for the Board of examiners for many years.